There are a variety of special events that are held throughout the school year. These events are a great opportunity to have fun in fellowship with other school families and support the school at the same time. The Hoot is an all adult evening of food, fun, and fellowship. The evening includes dinner, music, cash bar and lively auctions for one-of-a-kind and priceless items. All proceeds benefit Holy Trinity Catholic School. For updates, visit The Hoot for Holy Trinity Catholic School on Facebook. The Jasper Strassenfest is held annually the first weekend of August. All students, parents, and friends of Holy Trinity are welcome to participate in the festivities throughout the weekend! Holy Trinity sponsors a delicious food booth, featuring turkey tender sandwiches and Saints chips! Together with St. John Bosco Catholic Youth Ministries and Memorial Hospital, we co-sponsor the annual Strassenfest Wettlauf. The Wettlauf is a 5K road race and 5K fitness walk held on Saturday morning of Strassenfest weekend. We cap off the Strassenfest activities by walking in the parade on Sunday afternoon! 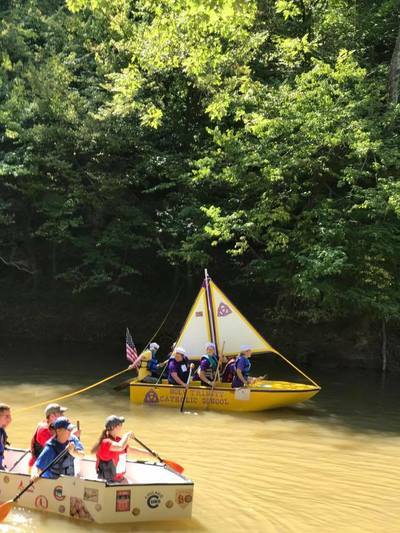 The Holy Trinity Catholic School Patoka Cardboard Boat Regatta is an annual event that takes place in August on the Patoka River by the Buehler Plaza in Jasper, Indiana. This event allows participants to design and create a floating vessel of corrugated cardboard using engineering genius and artistic flair. Using human power, participants then compete in multiple races and finish with the crew still inside. For updates, please visit Holy Trinity Cardboard Regatta on Facebook. In August, Holy Trinity sponsors a local golf scramble. 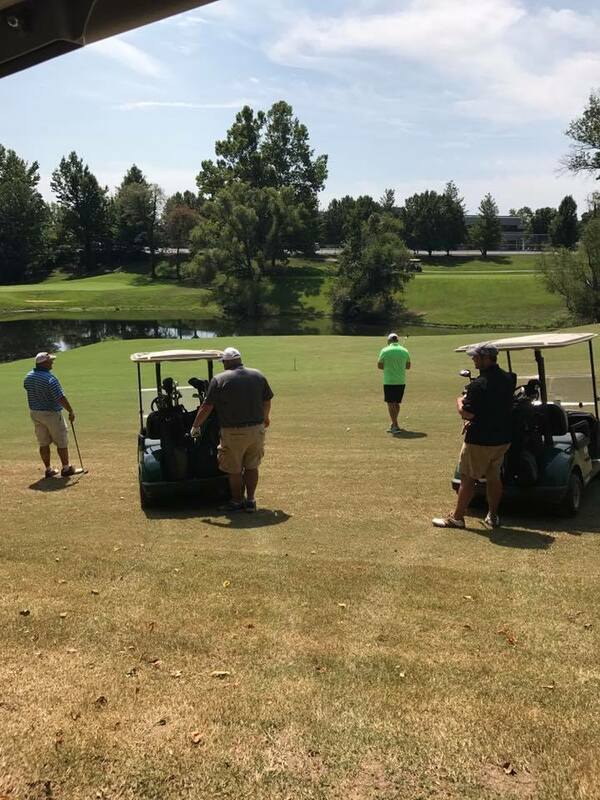 Proceeds from the golf scramble go in part to the general fund or designated cause for the school with a portion going towards the Eighth Grade Washington D.C. trip. Holy Trinity Catholic School hosts two fish fries during Lent. Not only is this a great meal for the family, consisting of delicious fish, German Fries, slaw, bread, and drink, but it is also a great time to join with school families and have fun while serving others! Meals are served until they are sold out and can be eaten dine in, carry out, or drive through. Desserts are also available and proceeds raised go directly to the 8th grade Washington D.C. trip. Beginning second semester of their seventh grade year, students begin fundraising for their eighth grade class trip to Washington D.C. From touring Ford's Theater, where Lincoln was shot, paying respects at Arlington National Cemetery and laying the wreath at the Grave of the Unknown Soldier, stepping back in time walking through the grounds of George Washington's Mount Vernon, walking the halls of the Capitol building, and standing in awe of our faith inside the Basilica of the National Shrine of the Immaculate Conception, this trip is an incredible opportunity for students to experience in person what they have learned through class. Fundraisers help offset the cost of the trip and include such things as a golf scramble, mum sale, and poinsettia sale. Thank you in advance for supporting our students on their quest to raise funds so they may experience a piece of history.